In my last article, I promised to tell some first-hand stories about living in these tropical Panamanian islands of Bocas del Toro. Believe me, when I say that every day is a new adventure. When I got started, I realized I could write a book about the adventure and romance of this life that is generously seasoned with unpredictable and “off the wall” people and events. Because we love the ocean and the waters in and around the Bocas del Toro islands, our boat has a bad habit of running low on gas with regularity. Lucky for us, there is an “over-the-sea” filling station nearby where we can conveniently replenish our thirsty watercraft. On one occasion, my live-in boat driver (AKA my husband) was headed to work with his Panamanian crew and stopped in to get gas. It was early on a Monday morning so the place was very busy with many water taxies and other “work” boats lining up and anxious to get fueled and on their way. When their turn came, our hero quickly handed the single station master a handful of bills totaling $70 and in exchange was handed the gas nozzle. At the same time, in the spirit of trying to communicate in Spanish, he sang out the number “setenta por favor” to let the attendant know to set the pump to shut off at seventy dollars. While he was fueling our boat, ten other people with gas cans were hustling in and out getting their own needs meant. Everything went fine until the pump shut off whereupon my guy returned the filler line and nozzle to the attendant with a smile and “gracias” and turned back to the boat to leave. Suddenly, the attendant was shouting in Spanish and gesturing adamantly in a manner that definitely indicated he needed to be paid for the gas. Totally taken by surprise and completely confused, my shaken boatman was suddenly in deep water as he tried to explain in very broken Spanish and distressed English that he had already paid. He was only saved by his workers who came to his rescue and verified in the common language of the land that the payment had indeed taken place. The attendant had a handful of bills in his hand, with which he tried to count backward into the sales he made while our boat was fueling and show that the subsequent layer of bills did not total the correct amount. With four or more earnest people all contributing to the conversation at once my poor boat captain was suddenly in a well known creek with no paddle. He was totally confused because he could clearly see, and many times tried to demonstrate, that the stack of bills exactly reflected the $70 he had given the attendant. But it was to no avail. Eventually everyone did agree that the money was in the proper hands and other customers were waiting with growing impatience so everyone moved forward on and into their separate way and day. It was only after my humble Captain and his crew had left and were finally on the way across the bay that one of the workers explained that the attendant had only set the pump for $60 because our confused hero had mispronounced “setenta” as “seicenta” which is Spanish for the number sixty. So no wonder the bills did not stack up right to the attendant but clearly did for the one guy who was so rattled and confused that he even forgot to ask for a receipt for the first time ever. (Well maybe the first time in a long time.) So bottom line was, that not only had he paid, but he had actually overpaid by ten dollars. No big deal, just a few obvious lessons learned and no harm done. But then, a few weeks and several fill-ups later, the owner of the gas station (who speaks English) came over to us while we were fueling and handed us ten dollars, stating that he had wanted to see us in person to apologize because he had heard the story and checked the till for the day which reveled the extra money. He too then realized what had happened in the confusion of the busy morning and wanted to set things right. He had held onto that intention all those ensuing weeks, knowing that we would eventually come for fuel at a time when he was running the station. It was a total surprise because my Captain had totally forgotten about the event and until that time I had not even been aware of the whole story. Once we all put the entire sequence of events together, we all got a good laugh but my fearless boat driver was forbidden to order gas in any amount between $59 and $79 until he is proficient in Spanish numbers. It was a small event but in the larger scope of things, it was huge because, in a world where so many are willing to take advantage of a situation to their own benefit at another’s expense, this man went out of his way to set things right for a customer (in this case, an obvious foreigner), for himself, his business and the reflection on his community and fellow countrymen. If you want to know what I think of when I think of the people of Panama and the wonderful community I find myself immersed in, this is the story I will refer to as the perfect example. As usual, I have surpassed my work budget so I will save some of my “You’ve got to be kidding!” stories for later. 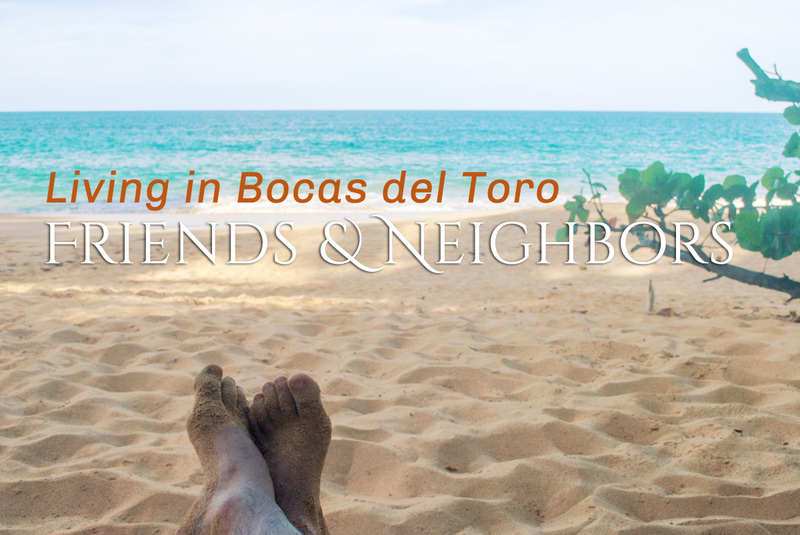 Stay tuned, every day creates a new story about life in the islands of Bocas del Toro.